While visiting family last month, I flipped through a copy of Elle Magazine and came across the Kate Spade Bow Necklace. It made me smile in all of it's kitschy glory; also inspiring me to create a less-blingy, more affordable, ribbon version. 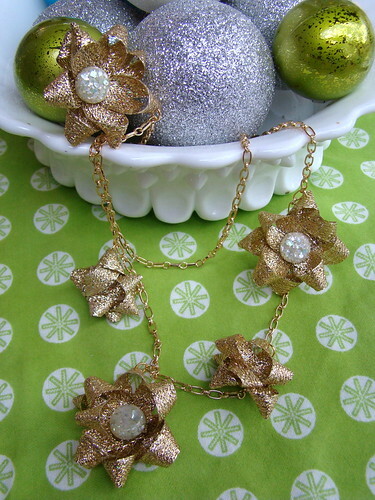 I think the result is an adorable, vintage-style bit of sparkle that makes the perfect accessory to wear to those holiday parties. Here's how to make your own! Make 3 large versions and 3 small (made by just pulling the loops tighter as you go). 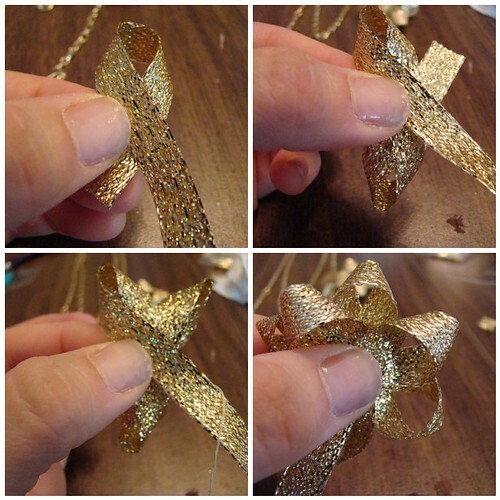 Brush-on a layer of Aleene's Fabric Stiffener to each bow. Let dry. 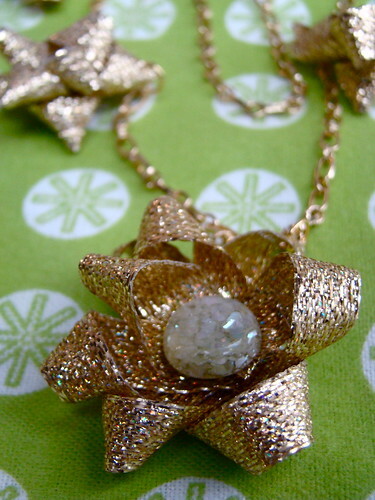 Use jewelry cutters to snip shanks off of 3 buttons. 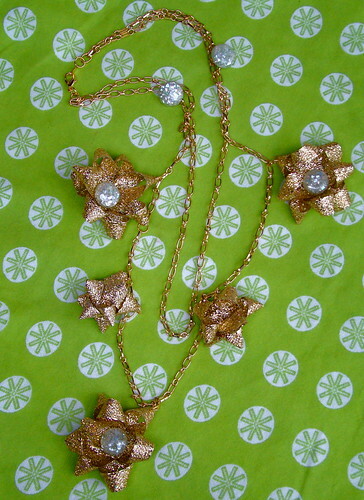 Use Liquid Fusion to adhere buttons to the centers of the large bows. Let dry. Double chain, so it's tiered at desired lengths. Snip off excess. 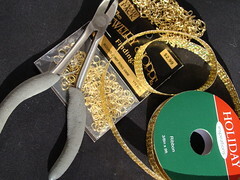 Use jump rings to secure the ends of the two tiers of the chain together. Attach lobster clasp to one of the jump rings. Link the two chains together towards the top of the necklace by attaching a jump ring to a button (with shank left on) and then hooking them both on to the chains. Repeat on opposite side. Pierce a jump ring through each bow, and attach them evenly to both tiers of chain. oh my god!! what a gorgeous blog!!! love that necklace and LOVE those super cute pine cone people!